Cefalù is a city and comune in the Province of Palermo, located on the northern coast of Sicily, Italy on the Tyrrhenian Sea about 70km east of the provincial capital and 185km west of Messina. Explore hidden gems such as La Rocca and Mura Megalitiche. Get a sense of the local culture at Village de Sant Ambrogio and Cefalu Coast. Explore Cefalu's surroundings by going to Palermo (Santa Maria dell'Ammiraglio, Catacombs of the Capuchins (Catacombe dei Cappuccini), & more) and Duomo di Monreale (in Monreale). There's more to do: take in the architecture and atmosphere at Chiesa Maria SS. Assunta - Matrice Vecchia and make a trip to Duomo di Cefalu. Inspirock's itinerary builder makes planning a Cefalu trip simple and quick. Singapore, Singapore to Cefalu is an approximately 21-hour flight. The time zone difference when traveling from Singapore to Cefalu is minus 7 hours. Finish your sightseeing early on the 4th (Mon) so you can drive to Agrigento. Kick off your visit on the 5th (Tue): explore the striking landscape at Scala dei Turchi, delve into the distant past at Temple of Olimpic Jupiter , then delve into the distant past at Tempio della Concordia, and finally explore the ancient world of Tempio di Giunone. 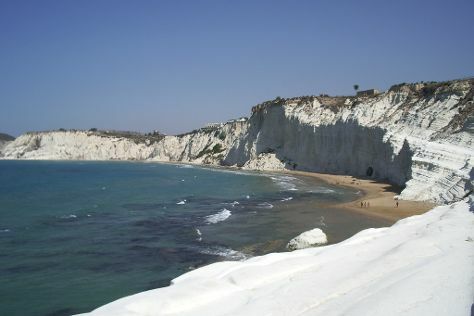 To see maps, ratings, and more tourist information, refer to the Agrigento trip itinerary maker . You can drive from Cefalu to Agrigento in 2 hours. Other options are to take a train; or do a combination of train and bus. Expect a daytime high around 30°C in June, and nighttime lows around 23°C. Finish your sightseeing early on the 6th (Wed) to allow enough time to travel to Anacapri. Anacapri is a comune on the island of Capri, in the Metropolitan City of Naples, Italy. Start off your visit on the 6th (Wed): take in the awesome beauty at Monte Solaro. To see maps, other places to visit, ratings, and tourist information, read Anacapri online route builder . You can do a combination of bus, flight, and ferry from Agrigento to Anacapri in 7.5 hours. Other options are to do a combination of train, flight, and ferry; or do a combination of car and ferry. In June, daytime highs in Anacapri are 32°C, while nighttime lows are 23°C. Wrap up your sightseeing on the 8th (Fri) early enough to travel to Orvieto. 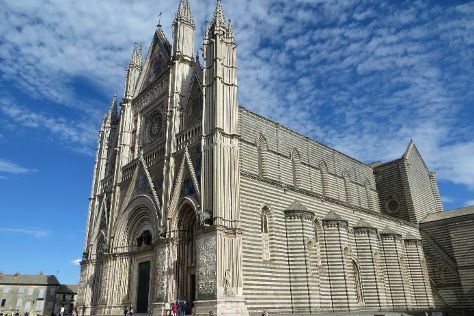 Kick off your visit on the 8th (Fri): take in the architecture and atmosphere at Chiesa di Sant’Andrea, then don't miss a visit to Pozzo di San Patrizio, and then take in the spiritual surroundings of Duomo di Orvieto. To find where to stay, other places to visit, maps, and more tourist information, read Orvieto online tour itinerary planner . Do a combination of ferry and car from Anacapri to Orvieto in 4.5 hours. Alternatively, you can do a combination of ferry and train; or do a combination of ferry, flight, and train. 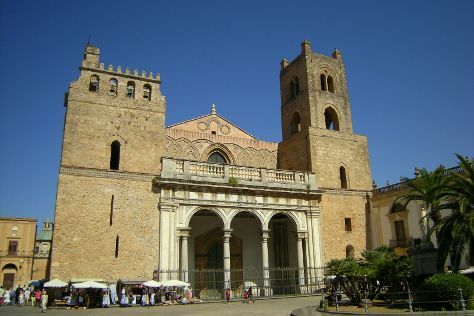 Traveling from Anacapri in June, expect slightly colder with lows of 17°C in Orvieto. Cap off your sightseeing on the 9th (Sat) early enough to go by car to Venice. Popular historic sites such as Basilica di Sant’Antonio - Basilica del Santo and Basilica di Santa Maria della Salute are in your itinerary. Satisfy your inner culture vulture at Dorsoduro and Scrovegni Chapel. And it doesn't end there: take a stroll through Cannaregio, take in the spiritual surroundings of Scuola Grande di San Rocco, get great views at San Giorgio Maggiore, and step off the mainland to explore Isola di Burano. Discover how to plan a Venice trip in just a few steps with Inspirock's itinerary builder. Getting from Orvieto to Venice by car takes about 4.5 hours. Other options: take a train; or do a combination of train and flight. In June, daily temperatures in Venice can reach 32°C, while at night they dip to 20°C. Wrap up your sightseeing on the 11th (Mon) early enough to travel back home.